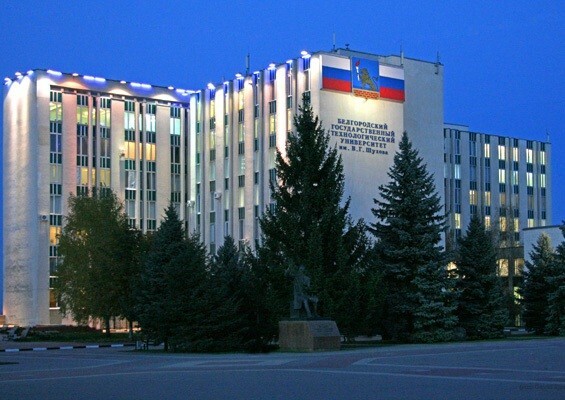 Belgorod State Technological University named after V.G. Shukhov (BSTU) was founded in 1957. According to the number of specialities, faculty staff, departments and laboratories. BSTU is the only higher educational institution in such field not only in our country but also in Europe. BSTU is considered to be one of the best higher educational institutions in Russia according to the quality of education, teaching staff, level of scientific and research work and material supplies. The structure of the University includes Faculty of Economics and Management, Faculty of Building Materials Science, Faculty Mechanical Equipment, Faculty of Architecture and Construction Engineering, Faculty of Information Technologies and control Systems, Highway Construction Faculty, Machine Building Faculty, Faculty of Environmental Engineering, Power Engineering and also Faculty of Refresher Courses, Scientific and Research Faculty of Global Changes and Steady Development, postgraduate school, doctoral studies, a number of technical schools, gymnasiums and technical lyceums. The structure of the University also includes 47 chairs and 3 departments.